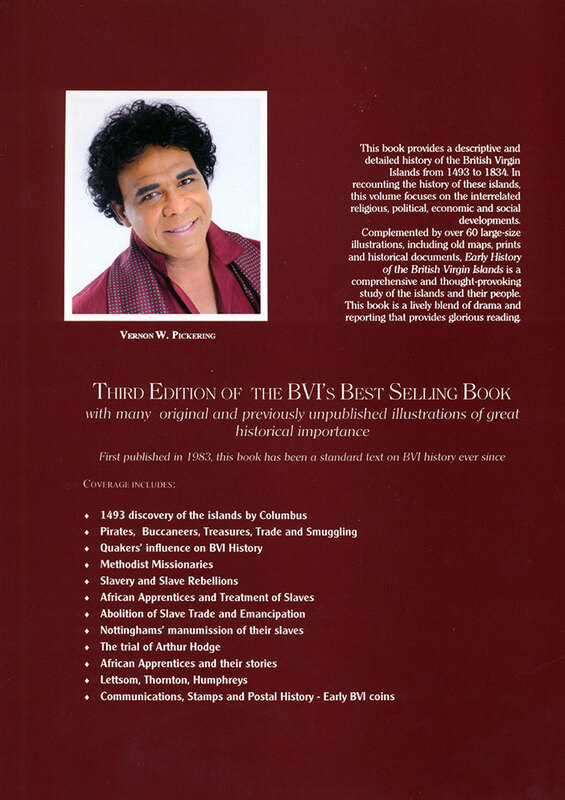 The fourth edition of the BVI’s best selling book, “Early History of the British Virgin Islands – From Columbus to Emancipation” has been published. The hardbound, A4, 248 page volume has over 60 large size illustrations and maps, including some historic documents and old prints, as well as colour plates and the colour reproduction of an 1819 historic map of the Virgin Islands. 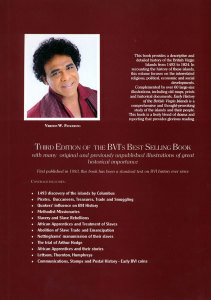 All previous editions of this popular book were sold out in 12 to 18 months. 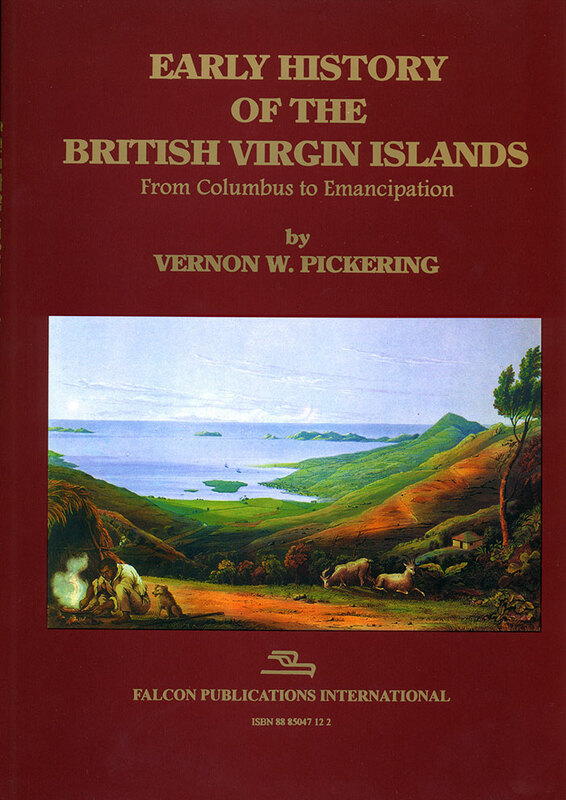 This book tells about the vicissitudes of the British Virgin Islands from their discovery to the days when the premises for a more humane society were introduced. These pages of History are full of well-known and less-famous characters — Francis Drake, Samuel Nottingham, William Thornton, John Pickering, Blackbeard and Columbus. Here and there you can catch a glimpse of the glitter of fabulous hidden treasures, you can leer at the grim shadows of pirates and buccaneers. The picture becomes lively from these pristine and peaceful beaches when the calm sea suddenly ripples and sometimes rises threateningly as a reflection of the “great” events which occur on both sides of the Atlantic Ocean. It would seem that these islands have very little historical importance but if we read the book carefully we are forced to change our opinion. When Samuel Nottingham emancipated his slaves some sixty years before the emancipation proclamation, he set an unheard of precedent. The capital punishment inflicted upon Arthur Hodge, a white man, accused of having tortured and killed many of his slaves, was an absolute first. These two events influenced and may have accelerated some major historical developments. We can also find a thorough examination of the African roots of many Virgin Islanders, with the portrayal of human beings cruelly torn from Black Africa and condemned to slavery. The immaculate scenery of these enchanting islands underlines each event, bluntly exposes and gives prominence to many details which would have failed to be observed elsewhere. Harsh contrasts are made evident: order and smuggling, superstition and religion, piracy and trade. Even Napoleon’s ghost is evoked with icy and equivocal irony when the name of Bonaparte is given to a freed slave. In the placid waters we can see the ships of Columbus and Drake, the boats of the smugglers and the packets which allow the European continent to communicate with all of the islands, great and small, of the West Indies. Impressive and not very well known aspects of the Virgin Islands are outlined: the horror of the missionaries for the lascivious dances of the Negroes; the Postmaster’s susceptibility in submitting letters to censorship; the contradictions of a religion professed to the point of bigotry, but almost never put into practice; and an eyewitness report on the working conditions at the Mount Healthy sugar works. An overall view, which embraces Ursula’s legend, the adventures of the buccaneers, the transient conquests of the Quakers, the battles and the subterfuges for a government, and the rebellions of the slaves, throws new light on the hidden folds of a little known but fascinating past. “Having familiarised myself with the history of the BVI over a period of almost thirty years I have come to the conclusion that BVI history defies a simple description. In fact, the BVI is not only the repository of Nature’s Little Secrets but also the repository of History’s Little Secrets”, says Vernon Pickering. Mekeel’s has published a lengthy review of the book: “In my experience, there have been few definitive books about history of individual Caribbean islands…For the British Virgin Islands at least, Mr. Pickering has filled a need for a well researched and nicely executed hardcover book,” Everett L. Parker writes in his column This Week in Literature. “As the name implies, the book is chronological, covering the period from discovery by Columbus in 1493 through the abolition of slavery in 1834. Pickering briefly touches on the earlier period when the islands were inhabited by Arawaks and later Carib Indians. We are treated to vignettes of early explorers in addition to Columbus, such as Francis Drake, and even so-called pirates such as Blackbeard. But perhaps even more importantly, we are treated to a thorough examination of African roots in the Virgin Islands,” Mr. Parker says. “It’s a bleak history in many ways as the author traces the desperate conditions of people snatched from their homes in Africa and forced into slavery. It’s a story of deprivation and cruelty as they are forced onto ships and transported to the islands.